For many years, I was a dancer. Then after majoring in dance I became a dance teacher. When and how does something like this happen? Now don't get me wrong, I am not a "Dance Moms" dance mom. I am a dance mom who tries her hardest to behave. Honestly, I am not even sure if my daughter's dance teacher knows my background. BUT this trying to behave, be nice, and stay quiet is SO HARD. I also have the sudden urge to adjust costumes and fix make up of children who are not mine. I feel the need to grab food and drinks and throw them out of the building a safe distance from all costumes. I have to keep all pens and notepads at home for fear of taking and then "giving notes" to unsuspecting dancers that I pass in the auditorium (probably don't know them either). I really, really, really want to wear the head set and stand on stage right while calling lighting and music cues. And finally, on the night of the show I have to remind myself to ONLY WATCH MY CHILD. 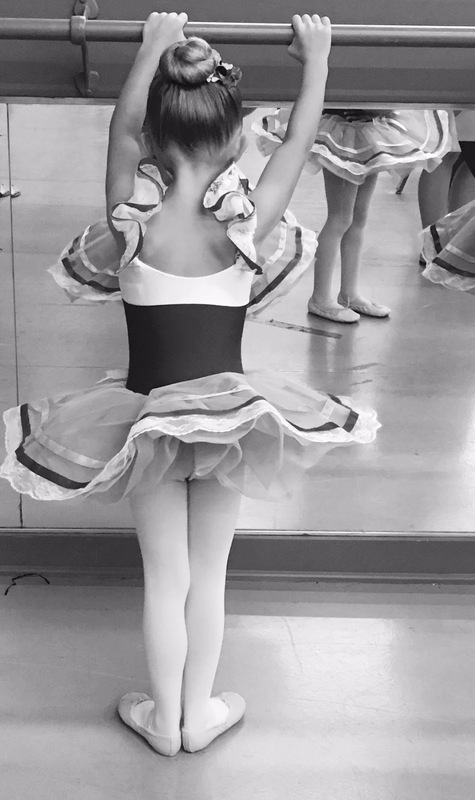 When you are a dancer, turned dance teacher, turned dance mom you lose the ability to only watch your child. Your eyes zoom out to watch the entire group. Seriously, it is like an auto zoom that just naturally happens. Then when something goes wrong, even the tiniest little mis-step or incorrect arm placement and the auto focus all of a sudden zooms in. It is so hard!!!! This picture will forever be a favorite. So, you are probably wondering by now how this year's recital went. I am glad to report that even though I did get hot and started to sweat, I didn't have near as many dancer, turned dance teacher, turned dance mom moments. I watched my real daughter and she did an amazing job. I was so proud of her and her perfect little dancer self. It has only taken three years but I have made big improvements.